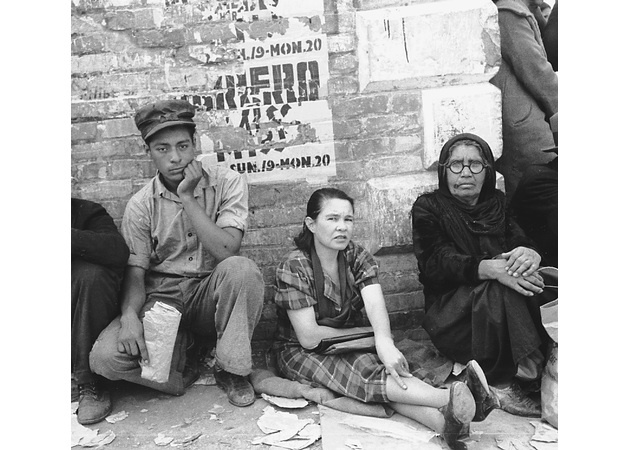 At the height of the Great Depression, thousands of Hartford people were thrown out of work. Like the rest of the country, the 1929 stock market crash meant disaster for this city’s working families. As the crisis deepened, wages were cut in half for those who still had jobs, evictions were common, children suffered malnutrition and sometimes starvation. No existing institutions were capable of handling the misery caused by the economic catastrophe– not the government, not the church. Even the labor unions failed to react effectively to the crisis. And industry’s response? The head of the Manufacturers’ Association E. Kent Hubbard spoke out against local initiatives to provide old age pensions for those who could no longer work. Such a plan would throw Connecticut into bankruptcy, Hubbard argued. The businessman’s solution was to improve the local almshouses and boarding houses. Hartford city government had a dismal record of aiding those who needed relief. Just a few years before the crash, the mayor had spoken against using public land to create community gardens so the unemployed could feed themselves. He argued small grocers would be hurt, but couldn’t explain how workers without income could buy at the market. By 1933, Hartford’s welfare agency was in the middle of a scandal because the department head thought that “full employment” meant he should hire his brother and friends from out of state. Since Connecticut’s jobless could not rely on leadership from their elected officials, they organized themselves. Unemployed Councils sprang up in cities throughout the state, often led by communists and socialists. In their ranks were the working people most affected by the crash, men and women, Black and white. Their leaders included Hartford’s Joseph Laskar. On more than one occasion in those years, they surrounded the State Capitol to demand government action. 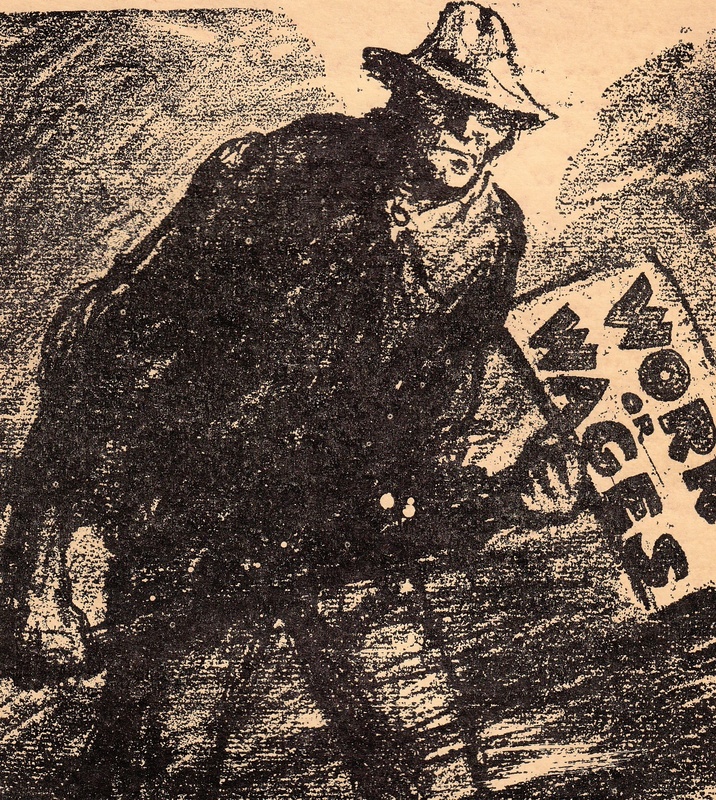 Unemployed Councils, according to labor historians Richard Boyer and Herbert Morais, were probably the most effective workers’ organizations in the country in the early thirties. Hartford native Ernie DeMaio, who would become one of the founders of the militant United Electrical (UE) workers union, first became active in a New York unemployed council. His job was to reconnect the gas lines for tenants who had been cut off and kicked out of their apartments. 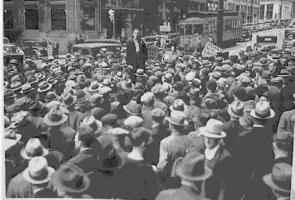 The Hartford Association of Unemployed (HAU) formed over a dispute about food. In 1932, the Open Hearth was the city’s only real shelter and had been operating in different locations since 1888. It provided two “meals” a day to homeless men: oatmeal and donuts. The men protested and won. HAU was transformed into an effective fighting organization over the next few years, raising and winning demands over family nutrition, union organizing, and successful free speech fights. The group spread across the city and had seven chapters: east, north, south, Brainard Field, women, youth and Italian. Organizers like socialist Morris Yousman made the connection between local poverty and the need for a comprehensive federal response. 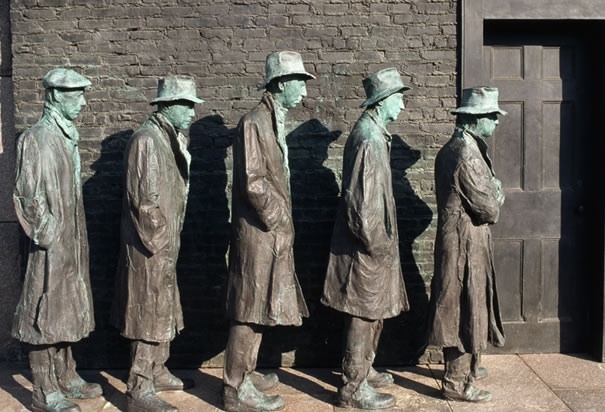 One rallying point for the unemployed was the 1933 push to get the state to provide $12 million in funds for hungry Connecticut families. The General Assembly’s Judiciary Committee was scheduled to hear various relief measures, including House Bill Number 4, as the proposed fund was known. When the committee decided to postpone the hearing for two weeks, local groups from Stamford, Bridgeport, New Haven and other cities protested, and the lawmakers reluctantly agreed to hear the bill. Hundreds of unemployed men and women began their trek to the Capitol on March 20th. On the day before the hearing, hunger marchers assembled at the intersection of Main and Windsor Streets. More than 400 people heard speakers, including Joseph Laskar, explain the need to provide immediate relief along with the establishment of unemployment insurance for those fortunate enough to be working. In addition, Bill Number 4 demanded the end to evictions, special attention to ex-soldiers, and the elimination of relief aid discrimination toward Black workers. Later that night, at the Sons of Italy Hall on Main and Sheldon Streets, hundreds of participants sang “Solidarity Forever” (labeled “a Communist anthem” by one newspaper reporter) and spoke out about the conditions in their cities. When the event ended, they braved the cold and slept in pitched tents erected in spots around the city. From City Hall they marched to the Capitol. When they arrived, the marchers found the doors barred by the State Police. They sang and chanted in the cold until they were allowed inside. The Governor said he was sick and couldn’t attend. The Lieutenant Governor and Speaker of the House made similar excuses. By the time they were allowed to testify, hundreds of hunger marchers had crowded into the Judiciary Committee hearing room. 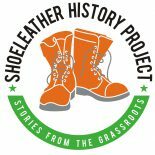 The proposed bill, said one speaker, was “as drastic as our needs.” The marchers demanded that the $12 million appropriation for workers’ relief should be derived by taxing utility companies, instituting a state income tax, and diverting funds that were being spent for military training. 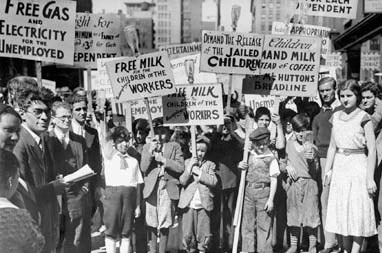 Their bill was defeated, but protections for unemployed and older workers that seemed radical in 1933 quickly became popular as the depression continued. The local work by activists in cities across the country focused on a federal response. By 1935, Congress had passed the Social Security Act, and in 1937, Connecticut passed a tax on employers to cover unemployed workers. The Unemployed Councils disappeared, but strong trade unions sprang up in their place, often led by the councils’ former leaders, throughout Hartford and across the country. This entry was posted on November 12, 2013 by Steve Thornton in Hartford, Labor, Tenants/Housing.